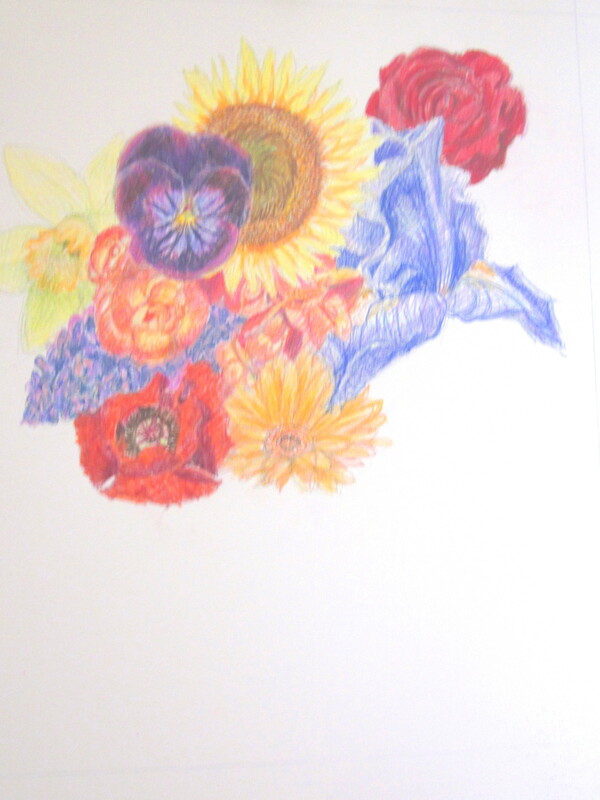 I’m happy with the way “Floral Overload” is coming along. Really, truly, I am. But, it is a LOT of work. I can get maybe one flower done a day. One factor is that my job leaves me fatigued, and I don’t have much time..so, Day Job hunting again. Oh, and I’m going to see the Moody Blues on Sunday. Just thought I’d throw that in.